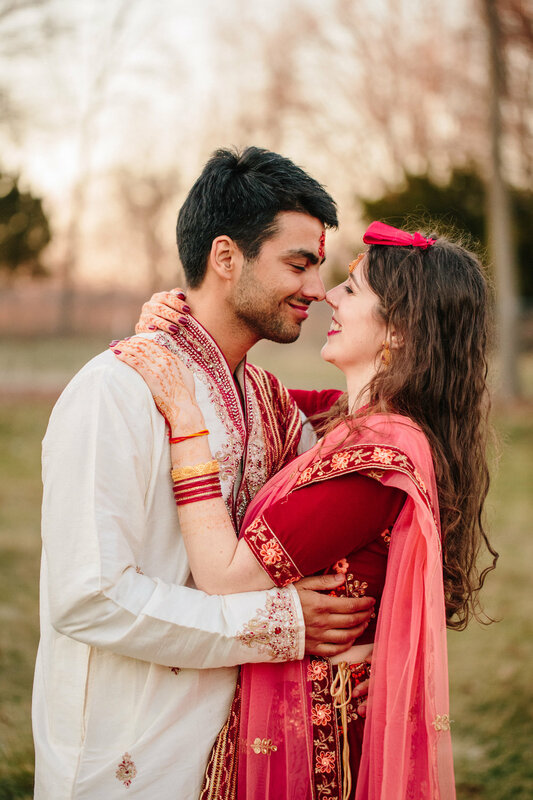 Since college, Paras & Elizabeth have moved to California, where Paras works and Elizabeth in a graduate student in anthropology. 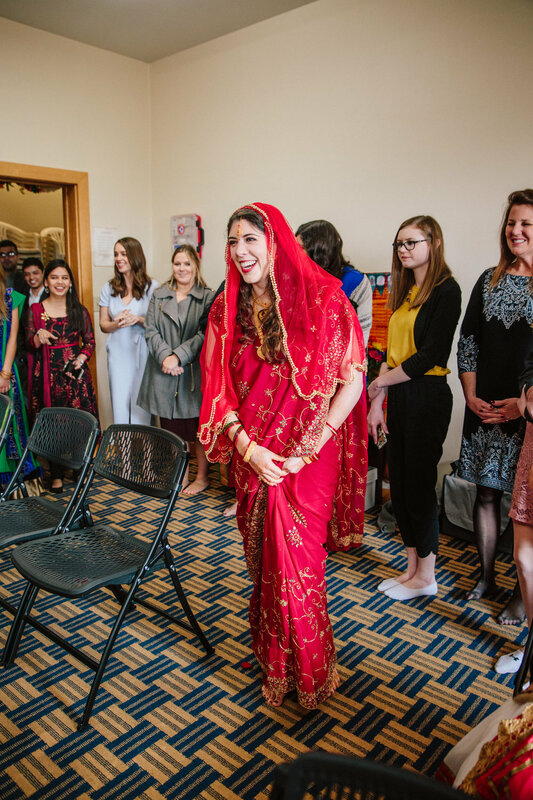 They originally planned for the wedding to take place in Paras’ home country of Nepal, but due to some changes in circumstances, moved the wedding ceremony and reception to Des Moines, where Elizabeth grew up. I arrived just as Elizabeth was putting on her finishing touches with help from friends & family… take a look! 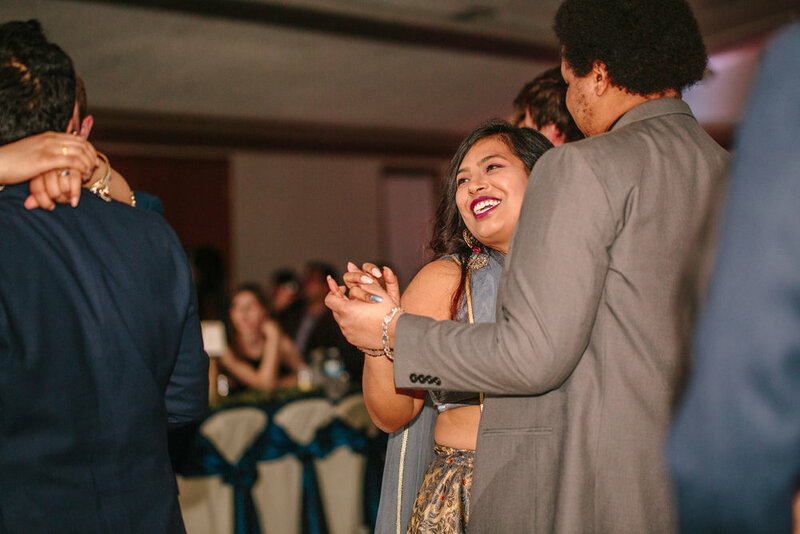 The ceremony kicked off with the groom’s family dancing in to the room. Paras’ dad was absolutely the most precious thing— his smile was so huge! This moment brought me so much joy to watch. Elizabeth’s father and Paras walked down to the canopy (called a Mandap) together, and then her mother & step-father followed. The first half of the ceremony primarily took place between the four of them & the priest, exchanging items and following protocol before Elizabeth even entered the room! Finally, it was time for Elizabeth’s entrance! All the ladies went to accompany her into the ceremony & it was such a festive thing! She looked incredible in her red Sari and veil. 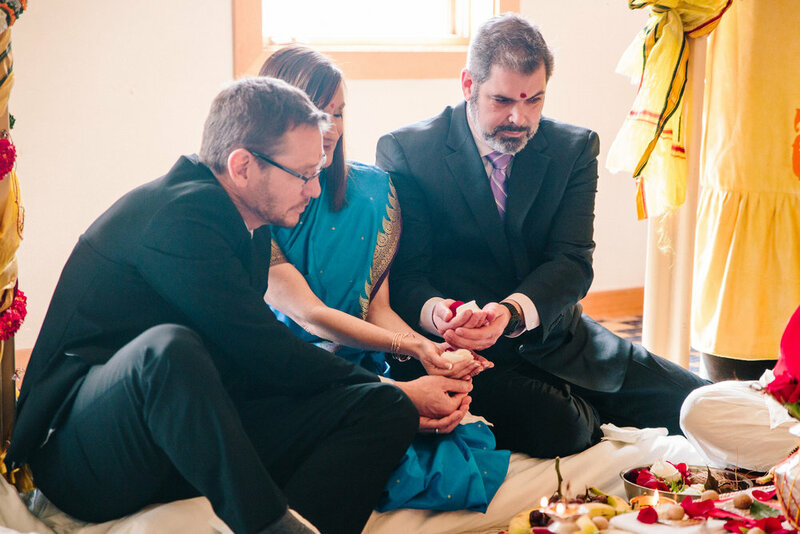 The saptapadi is an important ritual in Hindu weddings. During the saptapadi, the bride and groom have their garments tied together. 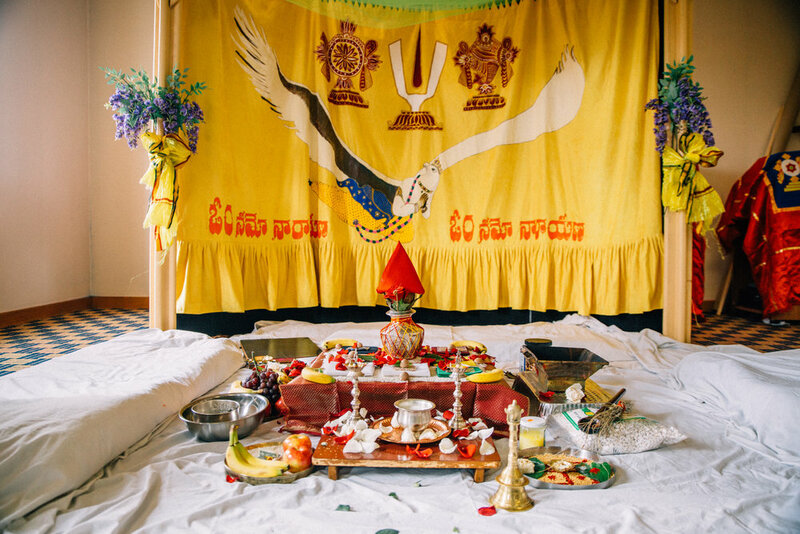 The couple took seven steps together, and the seven circles around the ceremonial fire. The families of the bride and groom sprinkled flower petals over the heads of the couple. 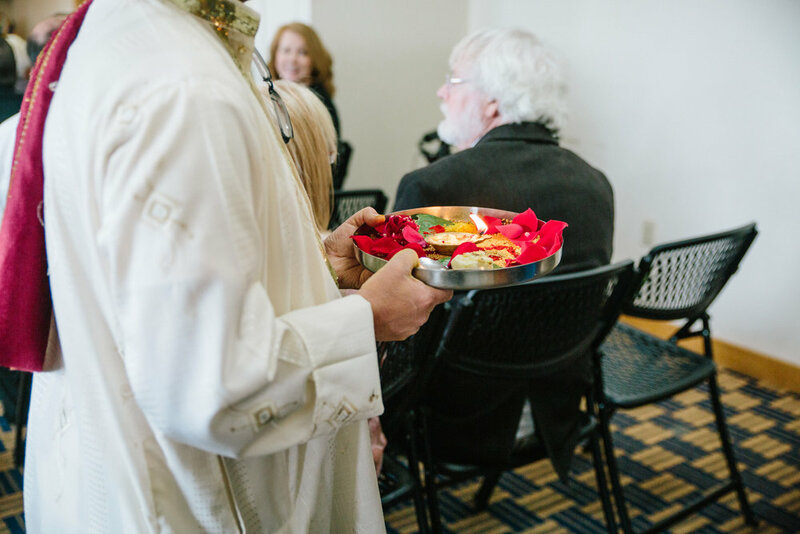 I’m not sure of the cultural significance, but it was gorgeous and a sweet way to celebrate their new union! 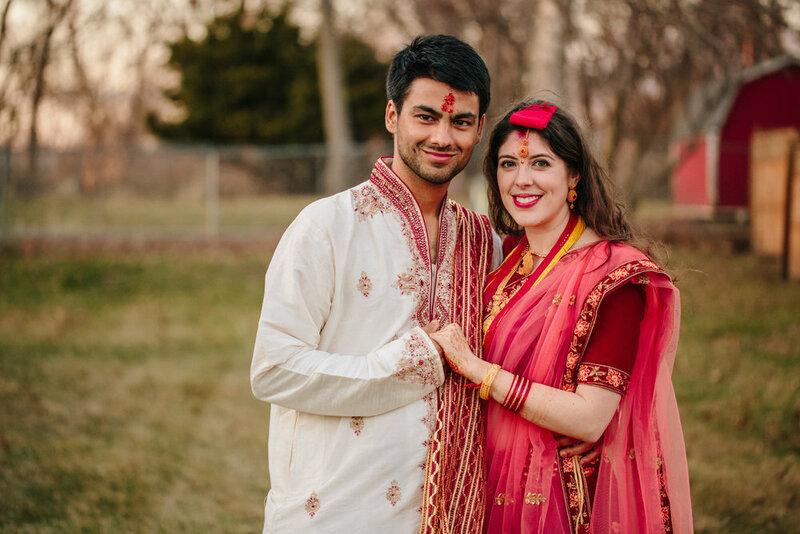 After all the group/family photos, Elizabeth & Paras headed outside the temple to take some post-ceremony photos! It was so sweet— the first photo below was literally right as I was getting my camera settings right. They were SO thrilled to be married! (And to finally be able to touch after the ceremony!!) I love how Elizabeth’s red saree popped against the white stone of the temple. CAN YOU HANDLE THAT VEIL!? 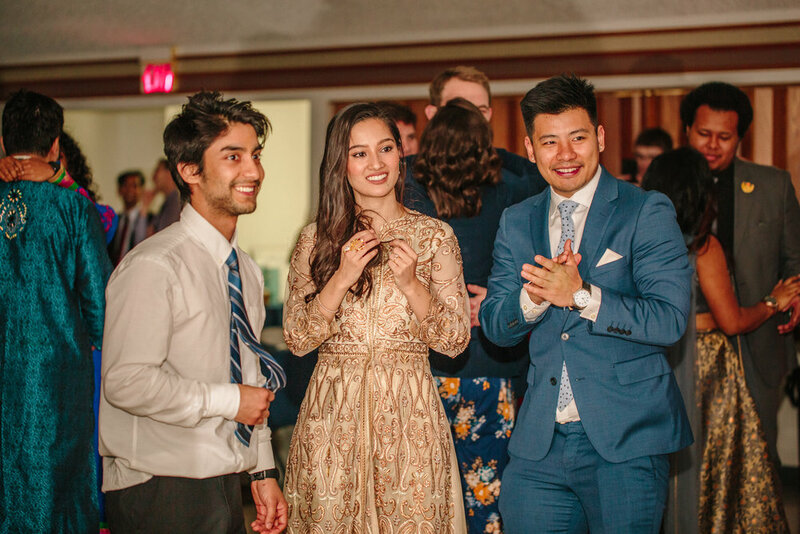 I’m considering only taking Asian culture weddings from now on!!! I just had to include this photo—aren’t all these outfits incredible!? 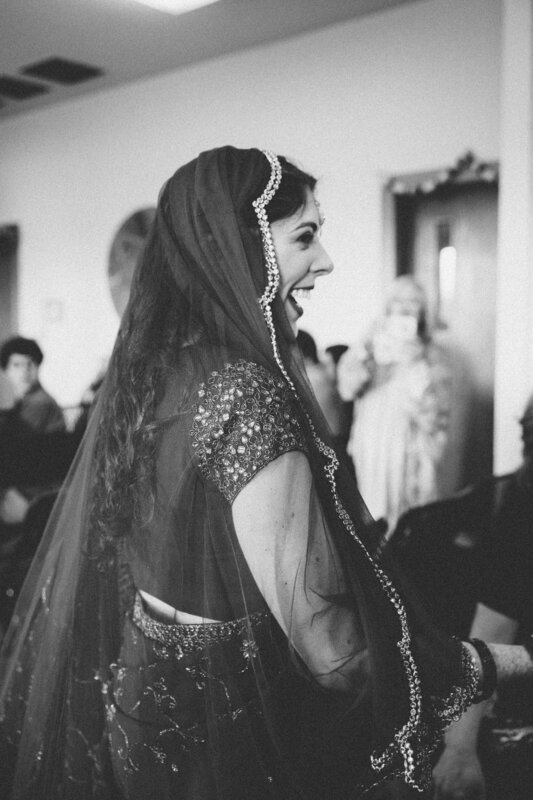 I now have a huge desire to own my own lehenga!!! Maybe I need to move to Asia. ;) (Who knows!?) Or maybe we can just start a new trend in western fashion. Ooookay. 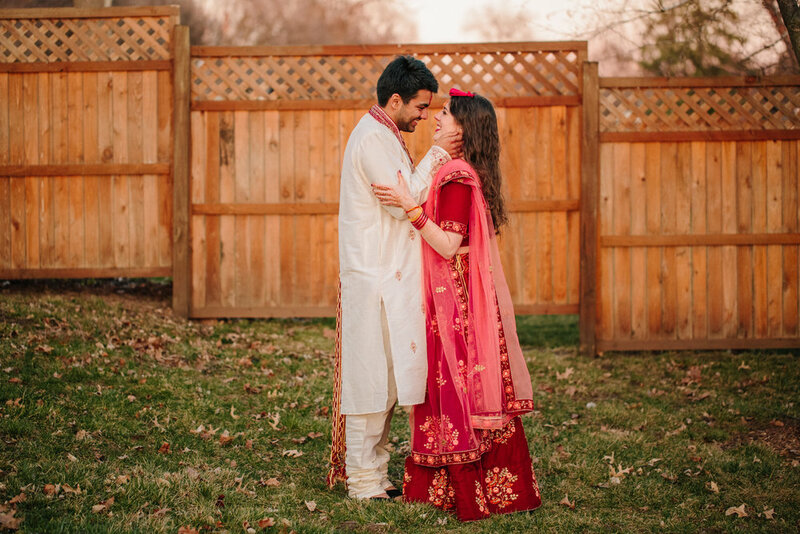 On to my favorite part of the wedding day… the golden hour portraits! 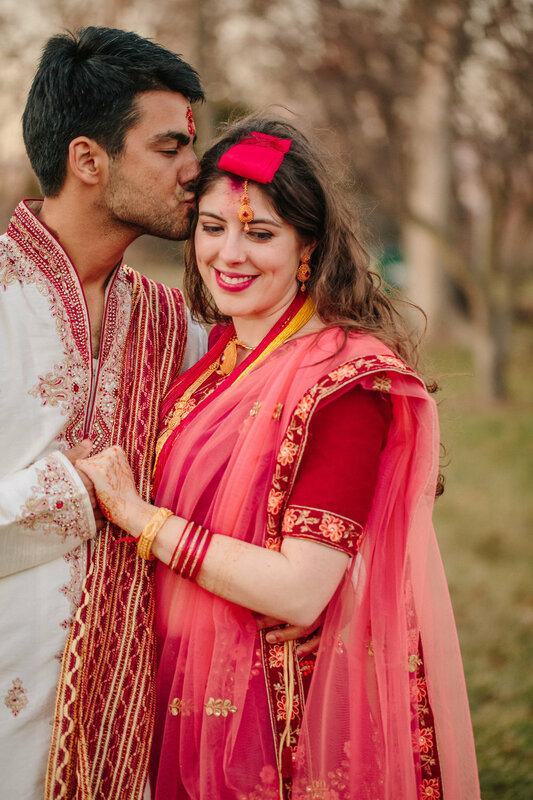 The wind had died down, thankfully, and Elizabeth’s lehenga was a bit warmer than her saree… so that also helped with photos. We snuck out to the space around the Lion’s Club for some sweet photos of the bride and groom. 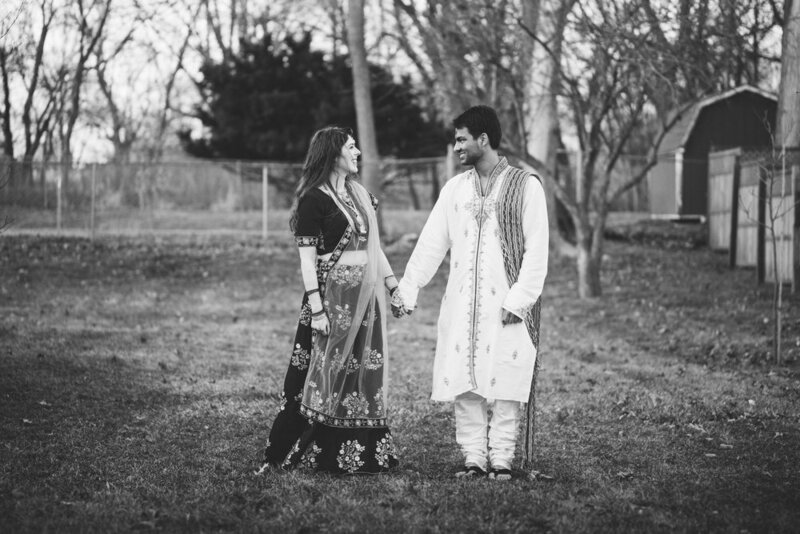 Thank you so much to Elizabeth & Paras, and their families for having me to capture this gorgeous wedding day. 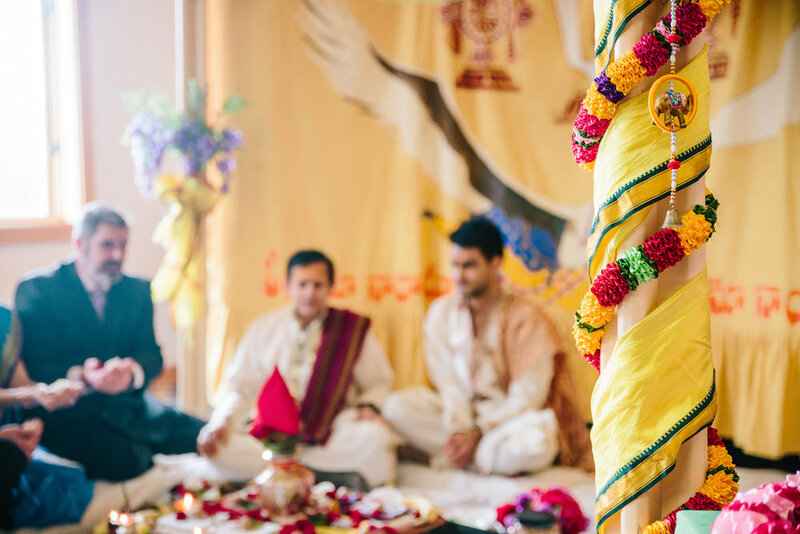 It was such a wonderful blending of Nepali and American cultures & traditions, and truly an honor to photograph this wedding. I wish you both the very best, and many wonderful years ahead!